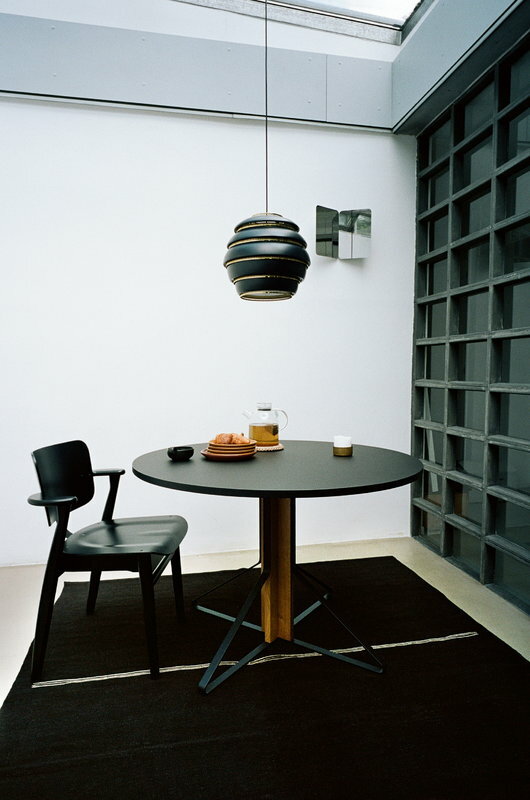 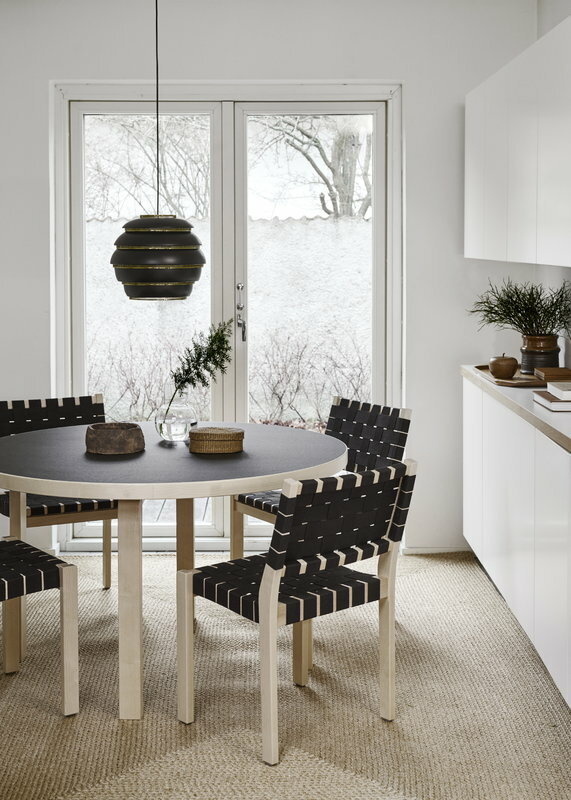 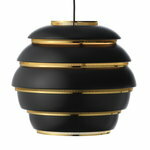 Artek’s A331 pendant light is a beloved classic designed by Alvar Aalto in 1953. 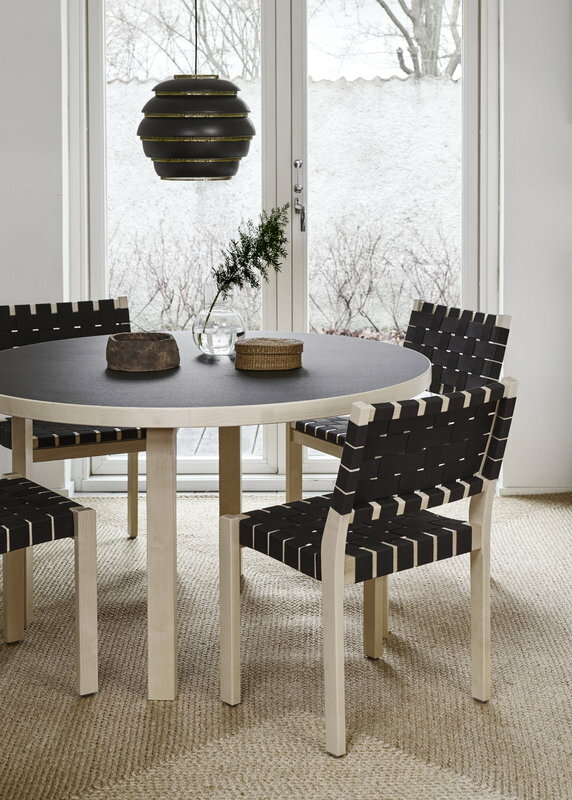 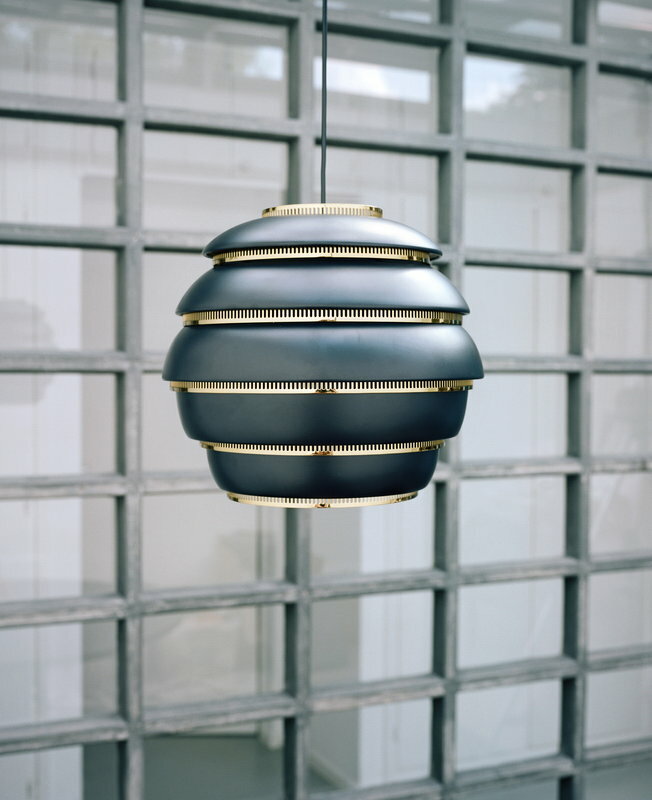 Also known as the Beehive, the pendant was first introduced as part of the décor of the University of Jyväskylä, and has, over time, become one of Artek’s most popular lamps. 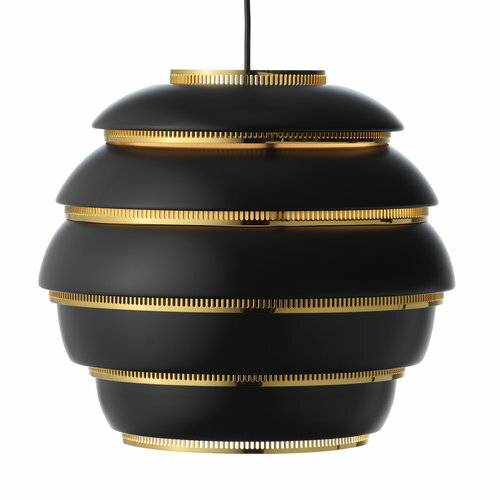 The long-awaited black version of the Beehive was released in 2018. 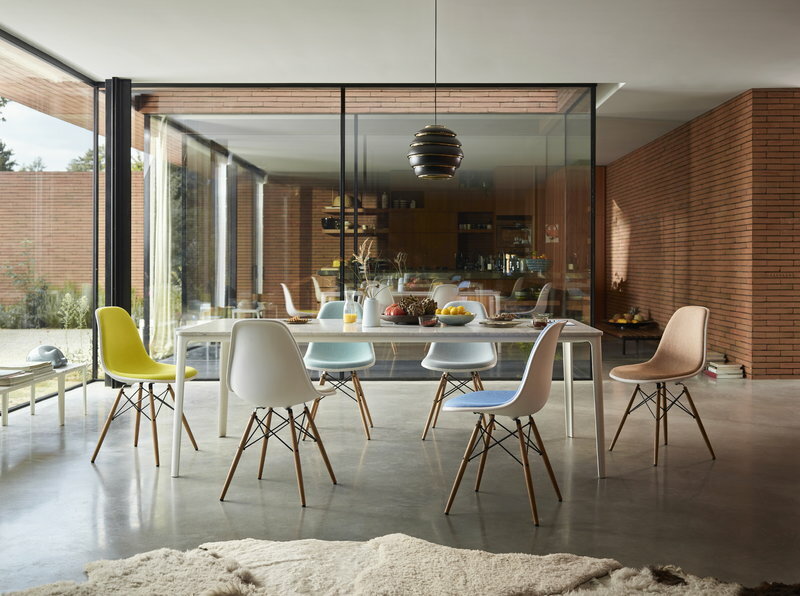 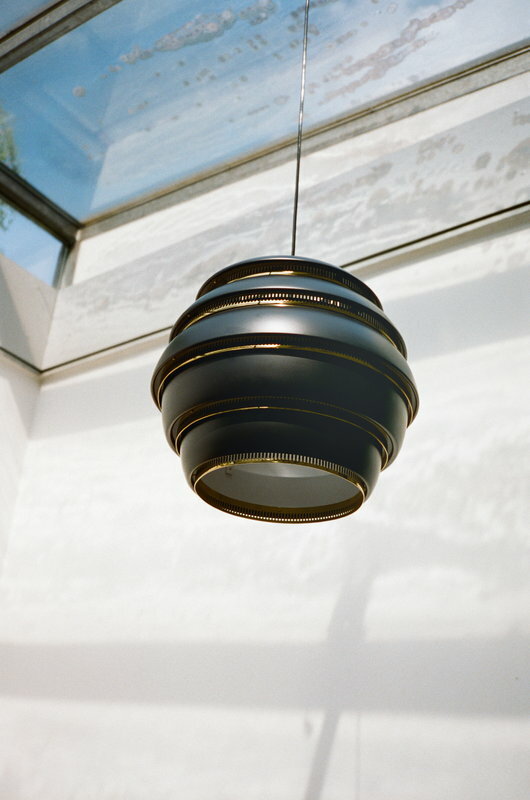 It consists of a black aluminium shade and brass-coloured rings that filter the light in the most beautiful manner. 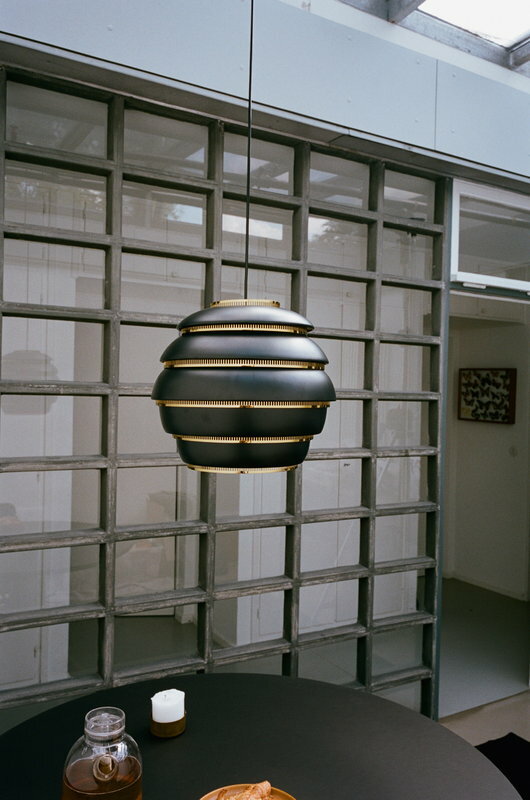 Beehive is a fine example of Aalto's fascination with indirect light and organic forms, and a tasteful addition to any room.